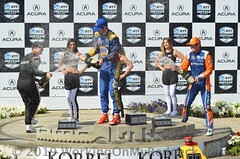 When the twin checkers flew over the Tricky Triangle, it was 26-year-old Alexander Rossi who took the top step of the podium to claim victory at the ABC Supply 500. 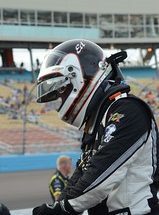 Starting from the third position, the American driver raced 200 laps to earn his third win of the 2018 season, the fifth of his Verizon IndyCar Series career. 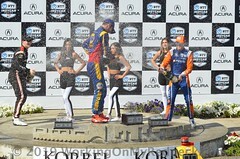 Previous victories came this year on the streets of Long Beach and Mid-Ohio Sports Car Course. In 2017, Rossi won at Watkins Glen International and claimed winning honors at the 100th Running of the Indianapolis 500 in 2016. 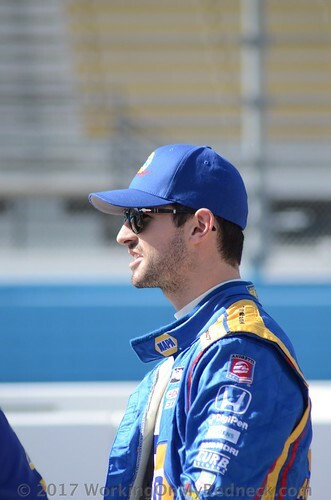 Rossi finished the 2017 season sitting seventh in the driver standings and 11th the year prior, collecting Rookie of the Year Honors for both the Indianapolis 500 and 2016 season. This is the 61st Verizon IndyCar Series victory for Andretti Autosport. 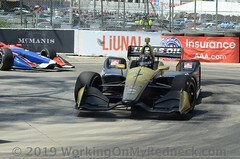 Since 2003, Andretti Autosport has scored four series titles (‘04/Kanaan, ‘05/Wheldon, ‘07/Franchitti and ‘12/Hunter-Reay) and six Indianapolis 500 wins (‘05/Wheldon, ‘07/Franchitti, ‘14/Hunter-Reay, ‘16/Rossi, and ’17/Sato). 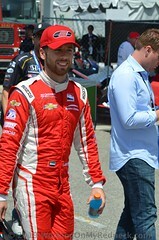 Andretti Autosport has four full-time entries in the Verizon IndyCar Series, with Rossi, Zach Veach (No. 26 Group 1001 Honda), Ryan Hunter-Reay (No. 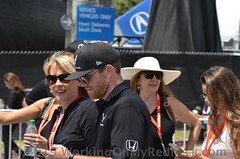 28 DHL Honda) and Marco Andretti (No. 98 U.S. Concrete / Curb Honda).